I loved spending part of my morning with this adorable baby girl and her sweet family when they visited our Collegeville, PA, newborn and baby photography studio for her newborn portraits. Just look at how sweet these two are together! This little guy is taking his “big brother” duties very seriously. She looks so snuggly in the basket and the teal looks great on her. Thank you so much, S family, for letting me spend time with your sweet, baby girl. 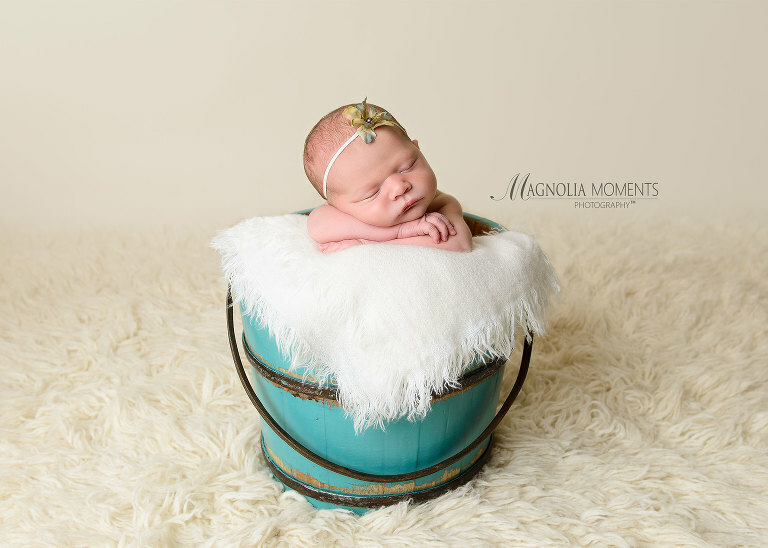 I so appreciate you choosing Magnolia Moments Photography as your Aston newborn photographer. Please visit me again soon! 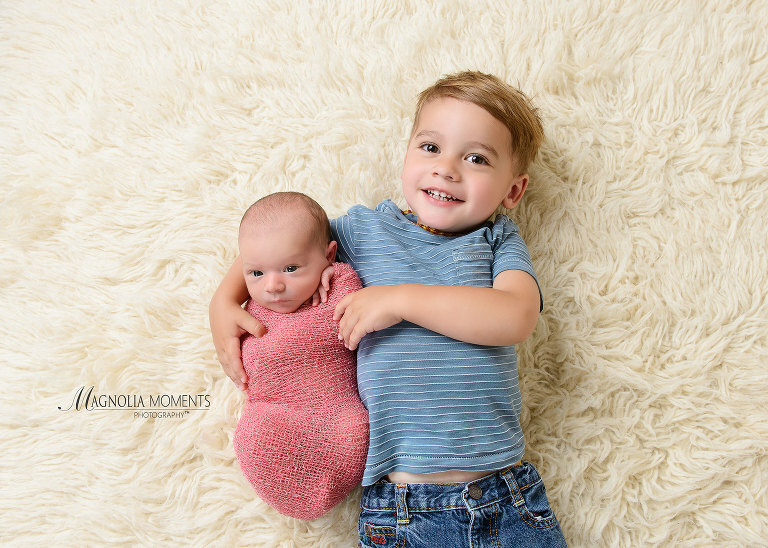 To check out more of our newborn work, visit our newborn portfolio here. Did someone say CAKE? This sweet boy dove right in. Thank you K Family for choosing Magnolia Moments Photography as your Philadelphia baby photographer. Loved spending the morning with you and your sweet baby boy. To see more of our child photography sessions, please visit our collection of child session posts on our blog here. FOR MORE INFORMATION ABOUT SCHEDULING A CHILD PHOTOGRAPHY SESSION, PLEASE CONTACT US. Another beautiful birthday girl stopped by our Collegeville, PA newborn and baby photography studio for her first year portraits and Cake Smash. We had such a good time! Just look at that face…and those eyes…oh my! Thank you K Family for choosing Magnolia Moments Photography as your Lansdale child photographer and letting me hang out with your sweet girl. It was such a pleasure meeting you and I hope to see you again soon! I so enjoyed spending the morning with this handsome little man and his adorable parents when they visited me in our Collegeville PA newborn and baby photography studio for his newborn photography session. Loved him in the browns we selected for his session. And just look at those sweet cheeks and lips…adorable! Thank you so much, F family, for letting me hang out with your sweet, little man. I so appreciate you choosing Magnolia Moments Photography as your Gilbertsville newborn photographer. Please visit me again soon! So much personality and so many amazing SMILES! This may be one of my all time favorite birthday dresses! Who wouldn’t love a dress with butterflies! Birthday cake is always a hit and while she didn’t get quite as covered in icing this year….it was clear she enjoyed it just as much as last year! Thank you, R family, for again choosing Magnolia Moments Photography as your Collegeville child photographer. It was great to see you guys again!